I am still trying to wrap my head, as to how a common fan can become so adept at dangerous parkour stunts and death-defying intercity chases. A disclaimer of sorts before I begin this piece; I have never been a huge Shah Rukh Khan (SRK) fan (no pun intended). Au contraire, even back in the day when everyone and their dog was drooling over his excessively exaggerated psychotic characters in Darr (1993), Baazigar (1993), Anjaam (1994) and Ram Jaane (1995), I found Shah Rukh Khan’s quirkiness more exasperating than endearing. I mean, okay I get it – you pulled off a deranged anti-hero successfully once, but why in God’s name would you don the same eccentric avatar over and over again that is bound to be milked dry in no time? Fortunately for SRK, these zany characters were counterbalanced by another sort of character that he so nauseatingly loved to repeat, that of a lovable idiot. Long story short, if he wasn’t hamming his way out as a manic ‘K k k Kiran’ stalker, he most certainly would be found playing an adorable simpleton like Sunder in Chamatkar (1992), Raj in Raju Ban Gaya Gentleman (1992) and Sunil in Kabhi Haan Kabhi Naa (1994). But back then SRK could still be called an actor, albeit a moderately talented one. A one-trick, or at most, a two-trick pony that didn’t have versatility in his repertoire. Then SRK struck gold with Dharma Productions and Yash Raj Films by playing an overdose of single-faceted Rajs and Rahuls in some of the most Bollywoodish rom-coms like Dilwale Dulhania Le Jayenge (1995) and Mohabbatein (2000), Dil To Pagal Hai (1997), Kuch Kuch Hota Hai (1998) and Kabhi Khushi Kabhie Gham… (2001). Fortunately for Shah Rukh Khan, people in our part of the world had no issues lapping up mediocrity under the guise of acting and he emerged on top of B-Town, with an audience all high on senselessly drinking the same old wine from new but shamelessly similar bottles. But all bad things, like good things, must come to an end and Shah Rukh Khan’s baffling rise was halted right in its track when he started pairing up with equally limited directors in Farah Khan and Rohit Shetty in some extremely direly scripted flicks such as Chennai Express (2013), Happy New Year (2014) and Dilwale (2015) to name a few. So Fan is King Khan’s way of reaching back to his acting roots and trying to salvage whatever is left of his rapidly depreciating career as an actor. 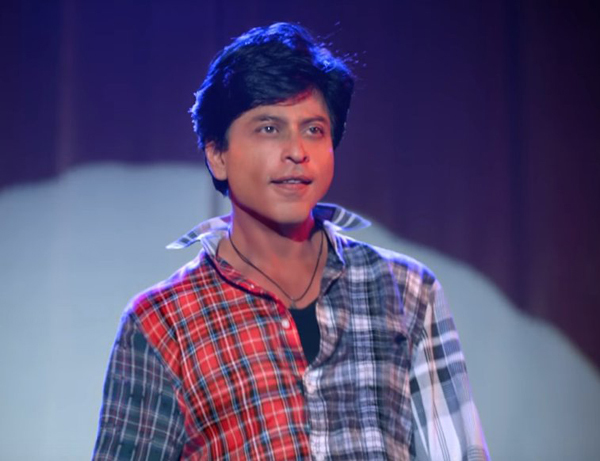 Fan is Shah Rukh Khan attempting to marry the only two characters he could act out, the wacky (Darr etc.) and the silly (Kabhi Haan Kabhi Naa etc. ), before he became the irritatingly tiresome Rahul and the tediously boring Raj. 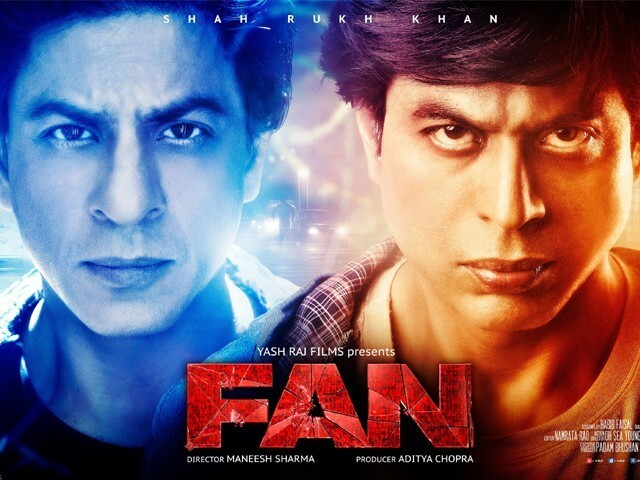 It’s a film that’s all about a fan’s pursuit of the star and then the star trying to hunt down the fan. Fan is Martin Scorsese’s King of Comedy (1982) meets Stephen King’s Misery, with a bit of Tony Scott’s The Fan (1996) thrown in for flavour. Gaurav (Shah Rukh Khan), a lifelong fan of fictional matinee idol, Aryan Khanna (Shah Rukh Khan) also happens to look like him. He has put his uncanny resemblance to good use by channelling his obsession into a trophy-winning tribute act at the local talent competition. After getting tired of winning the top prize at the said show repeatedly, he decides to present his latest award to his idol as a birthday present. With this thought in mind, Gaurav embarks on a pilgrimage to Mumbai to meet his celebrity-god. Once there, he realises that there are millions of others like himself and begins to feel neglected when he turns up at Aryan’s doorstep. In order to grab his hero’s attention and meet him personally, Gaurav hatches a sinister plan which backfires spectacularly when his first encounter with his obsession turns ugly. When slighted by his idol, Gaurav, owing to his striking resemblance, vows to make the narcissistic star chase after him and engineers a bitter confrontation that plays out in London, Dubrovnik and Mumbai. Fan is not a great film. Well, heck, it’s not even a mediocre one! What it is though, is a brave film. 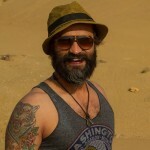 With an intriguing premise devoid of any conventional Bollywood song, inexplicably shot at exotic locales and lacking an established eye-candy in the form of a leading B-town lady, the movie certainly deserves credit for being audacious by breaking all the rules of archaically commercial filmmaking. But the outrageously flawed script and the logic-defying drama in the second half puts a stop to all the brownie points that Fan earned for a uniquely daring concept. I am still trying to wrap my head around how a common fan can become so adept at dangerous Parkour stunts and death-defying intercity chases. Not to mention, a super star running after a common fan, who bizarrely turns out to have all the unlikely resources at his disposal. Strangely, no personal body guard or cops step up to take the responsibility. Talk about taking a huge leap of faith with cinematic liberties. Other than the first half an hour, with the precise Delhi detailing that Maneesh Sharma is so good at, the Band Baaja Baaraat (2010) famed director fails at every single turn in telling a story that had so much potential. For instance, he could have worked harder on developing the real conflict in the plot instead of concentrating on the ridiculous chases. The narrative could have been a lot more captivating if he had focused on making the cat and mouse chase more difficult for the unresourceful Gaurav instead of the have-it-all Aryan. The leads were so shoddily written that even when you are supposed to be empathetic towards one and judge the other, you couldn’t quite decide. Frankly, I personally couldn’t even care! This is a testament to how emotionally disengaging the doppelgänger duo were as characters, in terms of both scriptwriting and acting. A saving grace of sorts is the top tier special effects work from world-renowned makeup artist and nine-time Academy Award nominee Greg Cannom who has also contributed his expertise to Dracula (1992), Mrs Doubtfire (1993) and The Curious Case of Benjamin Button (2008). 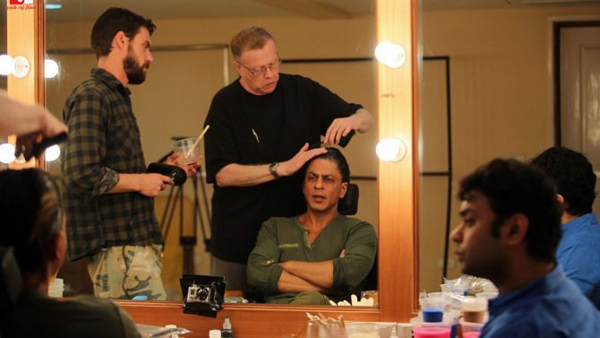 Greg Cannom and Shah Rukh Khan. If there is one thing I have learned over the time as an avid movie watcher, it’s not to have any high hopes from a film that has anything to do with SRK. 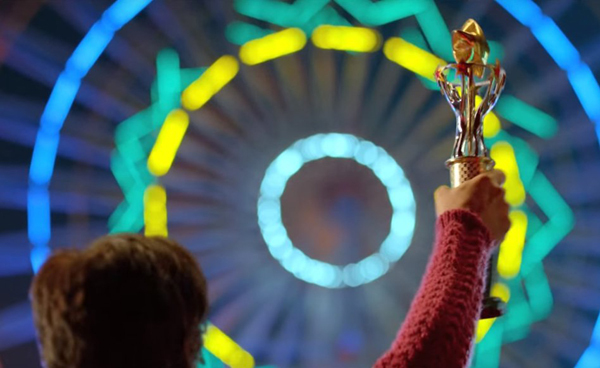 With a tremendously promising concept, Fan could have been a whopping shot at redemption for SRK. Alas, the nauseous glorification of King Khan by the filmmakers in the most melodramatically Bollywood way possible made sure that never happened. The King of Bollywood is almost dead, long live the King! 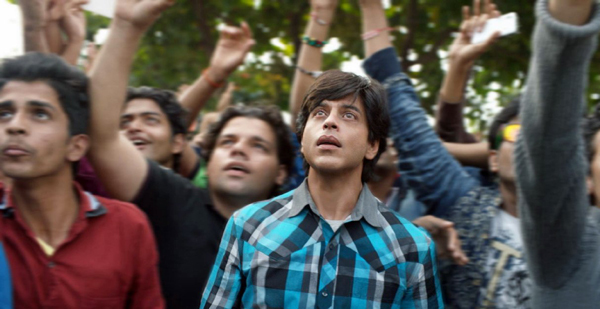 Do you still have high hopes from Shah Rukh Khan after watching Fan? Yes. He is the King after all. I am not sure how I feel about him anymore. You then watch geet mala indian movies. Enjoy emraan hashmi dude.Fan is all about characters acting and a pretty good cinematic experience. I dont disagree with the movie review on FAN. But writing off Khans whole past career stunning performances like Darr, Bazigar & DDLJ is quite ridiculous on your part. I mean come on Hassan Sardar, give credit where due…otherwise you sound like a B Hurt Biased fan of Amir or salman. To be particularly honest, Shah Rukh Khan has once again disappointed me like he did with Dilwale. FAN was just as boring and dragged on as any other D-List movie. I did not expect this from the great SRK. I couldn’t even watch the entire movie and I really really wanted to like it. I have nothing for or against SRK. I watch Hindi movies because I love India and I am studying the Hindi language so I am always happy when a new movie comes out. Before I go into why this movie was unbearably bad, I would like to say that in the past 4, 5 years, I have noticed an immense improvement in Bollywood films: from the scripts to the acting to the direction. I am a US citizen, half Japanese with an Italian passport and I currently reside in France. All four of these countries are famous for their cinematography so, I guess you could call me a movie-buff. I watch everything in a movie. A few Bollywood movies of different genres that I have enjoyed in the past couple of years are: Highway, Aligarh, Masaan, The Lunchbox, Bajirao Mastani, and I would throw in there even Kapoor & Sons and Dedh Ishq as far as light comedy is concerned. These movies follow a sort of logic and the acting and directing is spot-on. 1. Gaurav: to help defend Aryan, he should have filmed himself viciously insulting and threatening Sid, and perhaps trying to attack him. Or perhaps, trying to break into his house to cause him bodily harm. The videos would have gone viral, Aryan/SRK would have heard about them. Gaurav gets thrown into jail and goes on a hunger strike if he doesn’t meek Aryan/SRK who eventually comes to the jail out of pity and anger. (maybe Gaurav’s crazy parents make a plea on video to the superstar). Then, Aryan disappoints Gaurav by not defending his actions, in fact, he scolds him, criticises him, tells him to go home and get a life. He reprimands Gaurav for forcing him to come to the police station to visit him and how it is just a waste of his time….etc etc etc. Enough to get Gaurav angry. 2. Gaurav’s revenge: he sells his shop and with the money, he begins training, working out, getting big and strong like his ex-idol. He finds a plastic surgeon who will change his nose and other features so that he really looks like a young Aryan/SRK. The movie shows Gaurav putting something in his shoes to make himself appear taller. So, in the second half of the movie, Gaurav and Aryan are almost identical. Then he puts his plan into action in a realistic way. He goes to London and, without doing anything crazy or against the law, he begins to slowly and steadily ruin Aryan’s reputation. He uploads videos of himself in strip clubs partying with the sleaziest people, he treats fans horribly but allows people to film it (as would happen nowadays), he finds out when Aryan/SRK is away from home and then, takes videos of himself running around town with different women until even Aryan’s wife begins to suspect. Here, the possibilities were endless had the scriptwriter been more clever. 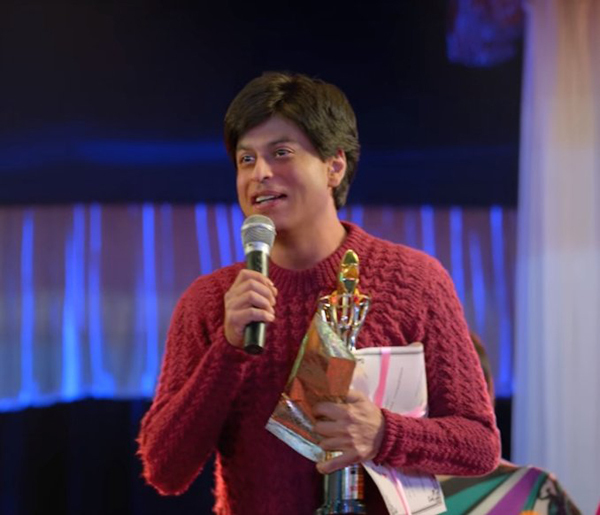 Since no one can catches Gaurav, Aryan/SRK’s image slowly deteriorates. Then, the twist: even though most people know there is something fishy going on, they begin to associate Aryan with Gaurav’s bad behaviour. Sponsors drop Aryan, his movies bomb. 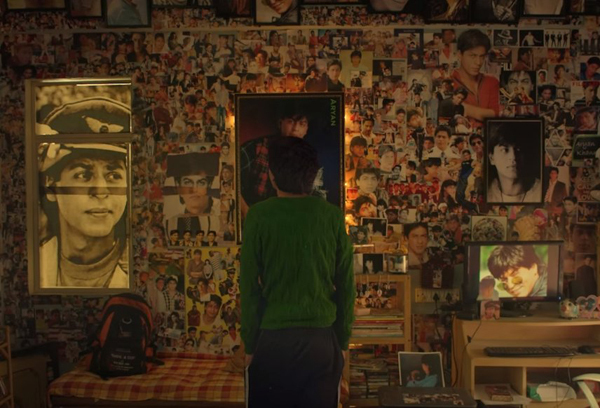 The worst comes when people begin to anxiously wait for Gaurav’s next move and they start to ‘like’ him, to ‘relate’ to him. He slowly becomes more famous than the real Aryan, also because he is younger, fresher. People no longer care who is real and who isn’t. This is the power of social networks, they can make or break someone. At this point, Aryan takes his revenge.